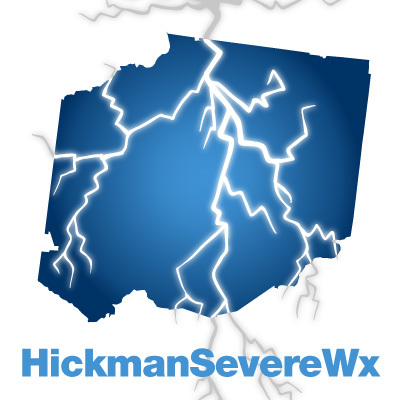 Summary: Some possible strong to maybe severe storms late Friday night. Much cooler temps, but dry weather, for the weekend. Rain and warm return on Monday. Today, we are expecting some strong to possibly severe weather late tonight as a strong cold front pushes through the area overnight. One main thing you’ll notice is that temps today could possibly hit 80 degrees for the first time this calendar year. It’s gusty today ahead of the storms with winds 15 to 20mph, with gusts up to 30mph. We’re outlooked for a MARGINAL risk of severe weather for our county (a 1 on a scale of 0-5). As you can see, the bulk of the severe weather will stay northeast of us. Damaging winds will be the main threat, with hail possible in some of the more stronger storms. 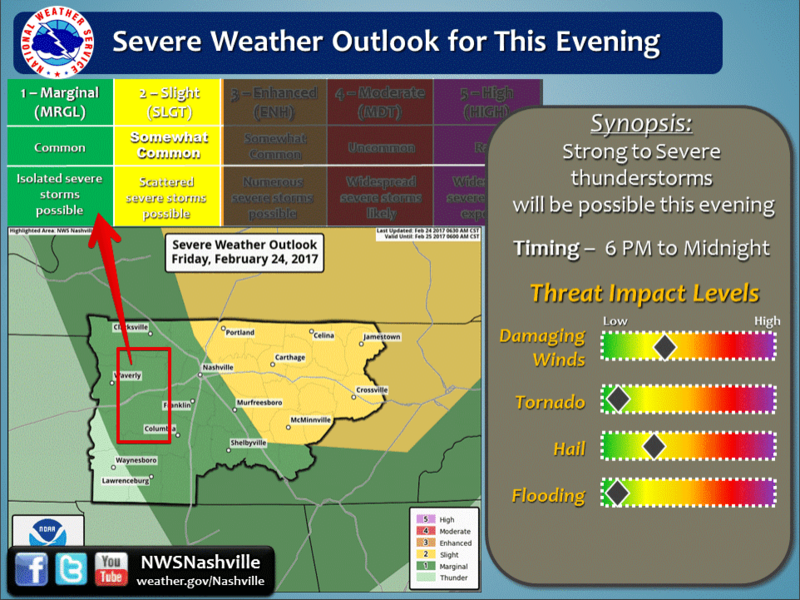 Storms are expected for us around 6-9pm tonight. 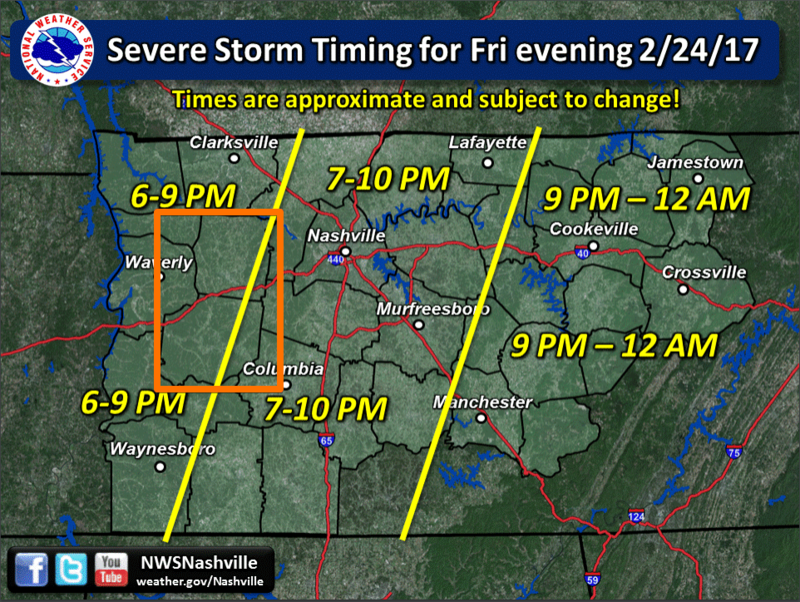 Closer to 6pm for the western parts of the county, towards 10pm for eastern parts of the county. The HRRR model gives us a picture as to what the models think will happen later tonight. The HRRR model is suggesting that some of the storms could develop right on top of us as they move east (giving the counties east of us a greater chance of seeing strong storms). Here’s the HRRR model simulated radar for today and tonight. The HRRR suggests we may see the bulk of storms around the 8pm hour, but we will stick to the 6pm to 9pm timeframe. Saturday will be much cooler after the cold front moves through. Sunny, but the high temp will only be 45*. It will still be windy on Saturday, with winds 10-15mph with gusts up to 20mph. Frost is also a concern as we go into the overnight Saturday into Sunday. Take precautions for any plans that are sensitive to frost before going to bed Saturday night. 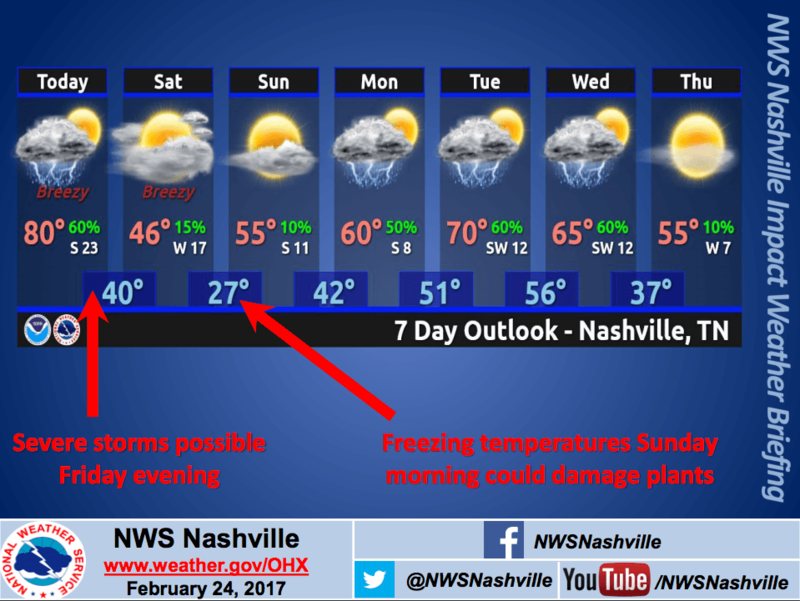 Sunday our high temp improves a bit to 54* while the winds calm to around 5 to 10mph. Overnight, the low temp drops to 42* with no current concerns for frost, but we’ll monitor that too. Workweek looks to be warmer and wet, with highs in the 60’s and rain Monday through Wednesday. Thursday sees a dry day, but temps back down into the mid 50’s.